MANILA, Philippines – A Filipino was arrested for allegedly planning a mass shooting at a Mosque in Southeast Florida. But the authorities foiled his ill-intent on December 1, 2017 (US Time). 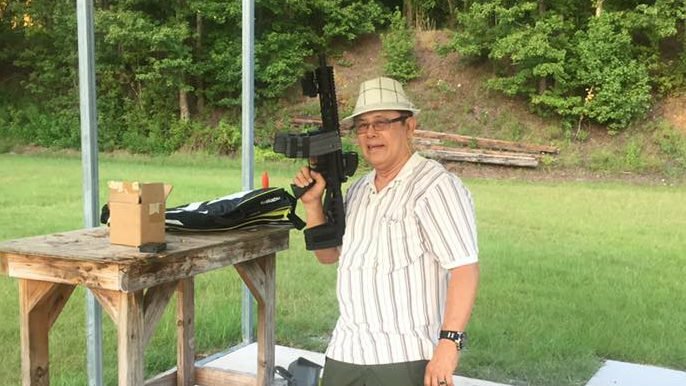 69-year-old Bernardino Bolatete is a Filipino immigrant living in Jacksonville Florida. Jacksonville Police received an anonymous tip concerning Bolatete’s plot in October. An undercover agent was assigned and contacted Bolatete after the immigrant sought for assistance to purchase a gun suppressor. The officer arranged the deal to secretly investigate the suspect and apprehend him afterwards. The agent met the accused several times and even went with him at shooting ranges. There he discovered Bolatete’s plan to shoot at Florida Islamic Center using several rifles which the police confirmed after his arrests. Bolatete also confessed to the agent that he shot and killed a man who happened to be a police officer in the Philippines due to parking fracas and expressed hatred for Muslims which the undercover officer recorded on taped. “I just want to give these freaking people a taste of their own medicine, you know? They are the ones who are always doing these shootings, the killings,” said Bolatete in the record. Jacksonville Police grabbed Bolatete after the undercover agent handed him the suppressor and now under the custody of the Federal Bureau of Investigation (FBI).